Cortec Corporation, a leader in eco-friendly corrosion control technologies, said it has completed in record time a major asset preservation project for Dubai Natural Gas Company Limited (Dugas) in co-ordination with its regional distributor, The Kanoo Group. 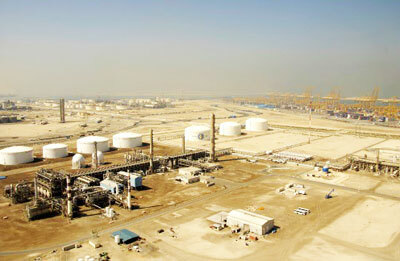 Dugas, which operates a major natural gas processing facility and Methyl Tertiary Butyl Ether (MTBE) manufacturing plant located on the shores of the Gulf, had awarded the contract to Cortec Corporation for preservation of their manufacturing plant in the UAE. MTBE (methyl tertiary butyl ether) plant produces an additive for unleaded gasoline - allowing cleaner, more complete burning, thereby reducing emissions. The plant was shut for an indefinite period due to the shortage of feed supply. Cortec said as per the contract, the company partnered with Kanoo Group to provide highest quality corrosion protection to the plant through mothballing of gas plants and SRU which is also safe for the environment. Kanoo Group’s engineers discussed with the customer the possibilities of corrosion occurrences while the plant is down. A series of presentations were made and they offered the customer a complete system of lay-up and mothballing solution for long-term corrosion protection, said a statement from the company. The total mothballing area is estimated to be 80,000 sq m, of which around 30,000 sq mt are insulated pipes and columns. According to Kanoo, the corrosion under insulation application was a major challenge but was achieved successfully thanks to Cortec's custom engineered, integrated solutions to control corrosion in a variety of applications within the most aggressive corrosive environments, including insulated piping. The entire project was completed within seven months, much earlier than the deadline, it added.